Psychic Rachel Williams said her home business had been struck by a car three times before. 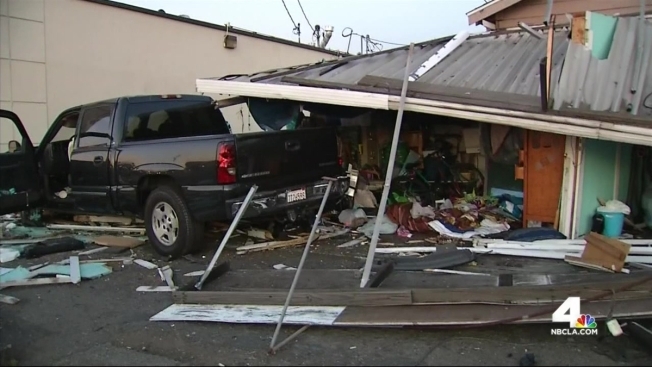 A psychic in Orange County, California, said she had a premonition something was going to happen — and it did, when a truck plowed into her home business in Anaheim on Friday. A truck traveling on Beach Boulevard hit the back of a Toyota Camry and lost control around 4:30 p.m., then crashed into psychic Rachel Williams' mobile home, which also serves as her office. Williams said her home business had been struck by a car three times before. She described Friday's collision as sounding "like a bomb went off" and said her biggest concern was for her son. "I was screaming 'cause my son was in the room operating the computer. That's what I was really scared ... that he killed my son," she said. A 67-year-old woman avoided the impact but was struck by some debris and taken to a hospital. Williams said she knew the accident would happen. "Yes, I knew it. I didn't know what time, but I had that spiritual feeling," she explained. Williams also said she had a feeling the driver of the truck may have been intoxicated. 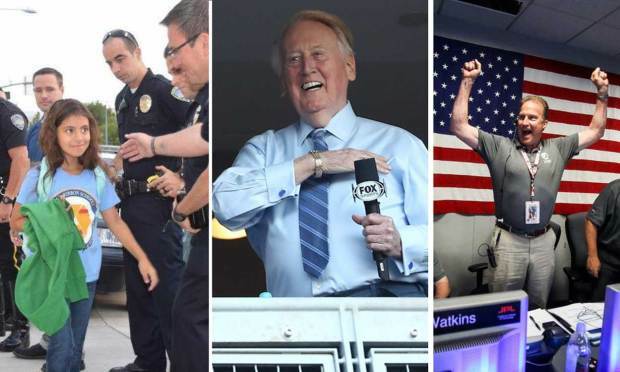 Anaheim Police Department was investigating whether the man was driving under the influence.